Opendoor has overhauled the traditional real estate business model. While the startup currently works with buyer's agents, Opendoor is building the pieces to cut them out. Editor’s note: We’ve posted a response from Opendoor at the bottom of this article. Zillow shook up the industry by making it easier for consumers to find and price homes online. But a new real estate technology company, Opendoor, is overhauling the traditional real estate business model in a more fundamental way. The well-funded startup buys and sells homes itself, giving it unprecedented flexibility to improve speed, convenience and customer experience. Opendoor is pioneering online offers, 24-7 open houses and home purchase guarantees. Plus it could move in many other directions, such as seller financing and discounts to unrepresented buyers. It currently works with buyer’s agents, but it’s building the pieces to cut them out altogether. And unlike Zillow, it is capturing commission dollars. Relying on sophisticated home valuation technology, homeowners sell directly to the startup and close in as little as three days, rather than sell through an agent and close at an unknown time — if at all. In exchange for this convenience, homeowners pay a higher commission to Opendoor — anywhere from 6 percent to 12 percent. They also give up an additional 1.5 percent on average in the form of a repair cost credit. And while Opendoor says it buys homes at full market value, some agents say its customers often walk away with less than what the market should bear. To fuel its high-tech home flipping, Opendoor has raised more than $100 million and taps at least one line of credit from an undisclosed institutional investor. Opendoor makes typical offers of compensation to buyer’s agents on the MLS, but it would turn a bigger profit if it snipped them out of the equation. It’s been dipping its toes in those waters. Opendoor’s platform streamlines the purchase process for buyers, provides an inspection report, two-year warranty and money-back guarantee, and allows anyone to access its homes 24/7 with a smartphone. These benefits could encourage a buyer to transact alone. And then there is Opendoor’s “trade-in” option: It lets homeowners sell their old home and buy a new one from Opendoor all at once — and without an agent. 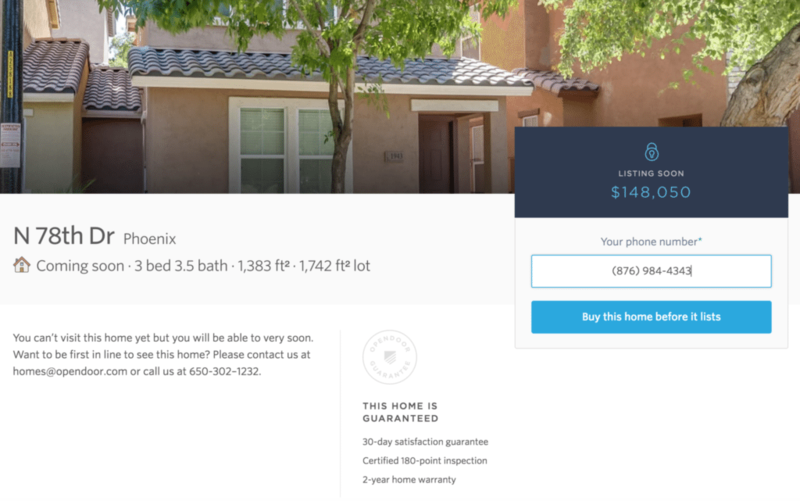 By marketing homes off the MLS on its website, Opendoor can dangle unlisted properties in front of unrepresented buyers for as long as it likes before issuing the bugle call to buyer’s agents. The startup could even offer special discounts to buyers who go it alone. Think about it: Opendoor could sell a home to an unrepresented buyer for 1 percent less than it does to represented buyers and still net 1.5 percent more profit on the sale. Why? Because it wouldn’t have to fork over 2.5 percent of its proceeds to a buyer’s agent. Consider another scheme: Opendoor could spare buyers the lengthy process of securing a mortgage from a traditional lender by becoming the lender itself. It might mint an out-of-the-box and streamlined underwriting process to churn out mortgages for buyers — including for buyers who might not qualify for a traditional loan — as quickly as it snaps up homes. 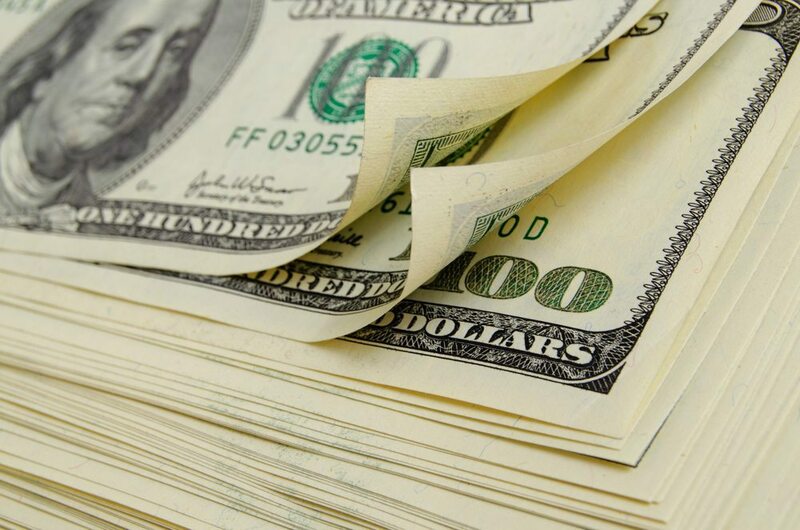 It could carry this debt on its books itself, or, more likely, sell the loans to banks, which might in turn bundle them into private-label mortgage-backed securities (MBSs) for investor consumption. This would require access to a huge amount of capital, but word is institutional investors are chomping at the bit for a piece of Opendoor’s action. This is how an Opendoor 45-hour transaction might play out. First, the buyer is notified of an unlisted Opendoor home at 3 p.m. Friday. She tours the property that night at 9 p.m. after letting herself in with a mobile app. Then she returns the next morning, Saturday, at 7 a.m. for a better look at the exterior and yard. The buyer then submits an offer and mortgage application via instantly fetched credit, debt and banking information using blockchain authentication. The Opendoor underwriting algorithm goes to work, instantly approving the buyer for a loan. The buyer waives an inspection, trusting in Opendoor’s published inspection and guarantees. The sale closes at 12 p.m. Sunday, and the buyer moves into a newly updated Opendoor home — at 1 p.m.
Perhaps the consumer didn’t negotiate the best price, took a chance by waiving an inspection and lost out in other ways because she lacked the guidance of a fiduciary duty-bound expert. But many buyers would be willing to accept these risks, and Opendoor will undoubtedly work to reduce them. “Evan here, VP of Product at Opendoor. I wanted to provide some additional color to our goals as a company. First, we are focused on building the best possible experience, in collaboration with other brokerages. It is a common misconception that Opendoor is aiming to “box out” agents as you’ve noted, but we are a licensed brokerage ourselves and we work with other agents every day to deliver a great experience to clients. We’re on track to generate over $10 million in commissions to other brokerages in 2016. We’ve now worked with about 1000 Realtors in Phoenix and Dallas-Fort Worth, many of whom have represented multiple buyers and sellers. We are developing technology to improve the experience for home buyers and sellers (such as on-demand access to open houses and proprietary pricing algorithms), and we see Realtors as a critical part of the transaction now and in the future. Our goal is to make the transaction as seamless and hassle-free as possible. Like any brokerage, we consider other agents our partners in delivering a great experience to clients. Editor’s note: The story has been updated with details on how Opendoor might fund seller financing.